Los Angeles Clippers @ Portland Trailblazers NBA Betting preview for Thursday, November 8, 2018. Written by National Basketball Association Expert Analyst Bobby Wallace. Charliessports.com produces it for Basketball Betting. NBA ATS Predictions are the best in the industry and will continue through the NBA Finals in June of 2019. The (6-4) SU/ATS Los Angeles Clippers are on a two-game winning streak both SU/ATS after their 120-109 home victory over Minnesota as a five and a half point home FAVORITE ATS. Los Angeles is tied with Sacramento for second place in the Pacific division both teams trail Golden State by three and a half games. 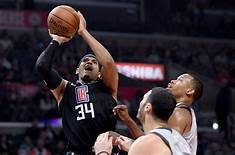 Forwards Tobias Harris and Danilo Gallinari scored twenty-two points apiece in the win over the Timberwolves as the Clippers outscored the T-Wolves in each quarter. The Clippers are 1-4 ATS the last five meetings between the teams. OVER bettors have cashed in 6 of the Clippers last seven on Thursday’s. The Clippers are 0-4 ATS their last four on the road vs. Teams with a winning home record. The OVER has been profitable three of the Clippers last five on the road. The (8-3) SU/ATS Portland Trailblazers have the third best record in the Western Conference behind Golden State and Denver. Portland beat an excellent Milwaukee team 118-103 SU as a two-point home UNDERDOG ATS. They’ve won 5 of six SU, and from the looks of things, the Northwest could be the most competitive in Basketball. Denver, Minnesota, Utah, and Oklahoma City could all qualify for postseason play. The OVER is 4-0 Portland last four on Thursday’s. Portland is 9-1 ATS their last ten on Thursday’s. Portland has stayed UNDER the total their last 3 of their last four at home. UNDER bettors have cashed in 5 of Portland last six after they scored 100 or more points the previous game. Thursday’s game is at 10:00 PM EST at the Moda Center in beautiful Portland, Oregon. The Local Television Network will be broadcasting. The Opening Betting Line has the Clippers as five-point home FAVORITES ATS. The TOTAL is 225 points for Thursday’s contest. Los Angeles Clippers head coach Doc Rivers seems to always have the team in the thick of the playoff hunt only to fall short when it counts the most. Forward Tobias Harris tops the team with a (21.3) ppg scoring average on an offense that averages (116.2) ppg which ranks eighth in the league. The Clipper is especially good shooting from beyond the three-point line as Harris, Gallinari and Lou Williams averaging over 40.0% good enough to be ranked third league-wide as a unit. Even without Griffin and Jordan who were known to be terrific in the post, the Clippers are still among the top ten leading rebounding teams. In Doc Rivers fashion his team is efficient on defense as opponents are shooting just (43.2%) good enough for fifth in the league. 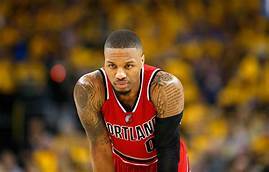 The Clippers can run with any team in the league except for Golden State; the Clippers play a similar style as Portland with the only thing separating them, and that’s the star power of Portland All-Star guard Damian Lillard. Bovada.Lv, list the Los Angeles Clippers at +3,000 to win the 2018-19 NBA Western Conference Pacific. All seems well in the Rose City even after last season’s debacle in the first round of the playoffs. Head Coach Terry Stotts welcomes the challenges of the 2018-19 season with a competitive attitude. He’ll have too as every team in their division is capable of making the 2018 NBA Western Conference finals. Before the season began, all of the talk surrounding the Northwest division was about the Utah Jazz, but Denver is performing at an elite level so far. Portland averages (117.3) ppg, seventh in the NBA with Lillard leading the way with (26.7) ppg along with (5.5) assists per contest. The first round exit against New Orleans the Blazers lost game-one by two points 97-95 but the final three the Pelicans increased their scoring. In game four Portland allowed 131-point which sent them packing for the summer; it also could have been fools gold for New Orleans who’s scoring but are challenged on defense this year. Stotts has put a premium on defense this season, and it’s paying dividends as the Trailblazers are allowing opponents (107.4) ppg which is sixth league-wide. Portland must continue to play tight defense the way the rest of the division is trending, Denver in particular. Bovada.Lv, list the Portland Trailblazers at +450 to win the 2018-19 NBA Western Conference Northwest Title. Free Pick. Portland-5 Points. Also Play Online Poker Plus Other Casino Games and enter some of the best Tournaments on the World Wide Web.